facilities, located in the United States, Canada, and Mexico, provide advanced care for children with orthopaedic conditions, burns, spinal cord injuries, and cleft lip and palate. To donate to Shriners Hospitals for Children, visit Support our Hospitals. Placing the cornerstone for the first Shriners Hospital. In 1919, Freeland Kendrick (Lu Lu Shriners, Philadelphia) was the Imperial Potentate-elect for the 363,744 Shriners. He had long been searching for a cause for the thriving group to support. In a visit to the Scottish Rite Hospital for Crippled Children in Atlanta, he became aware of the overwhelming orthopaedic needs of children in North America. As Imperial Potentate in 1919 and 1920, he traveled more than 150,000 miles, visiting a majority of the 146 temples to campaign for an official philanthropy. At the June 1920 Imperial Session in Portland, Oregon, Kendrick proposed establishing Shriners Hospital for Crippled Children (now Shriners Hospitals for Children, to be supported by a $2 yearly assessment from each Shriner (now $5 per year). A committee was chosen to determine the site and personnel for the Shriners Hospital. After months of work, research and debate, the committee concluded that there should be not just one hospital but a network of hospitals throughout North America. It was an idea that appealed to Shriners, who liked to do things in a big and colorful way. When the committee brought the proposal to the 1921 Imperial Session in Des Moines, Iowa, it too was passed. 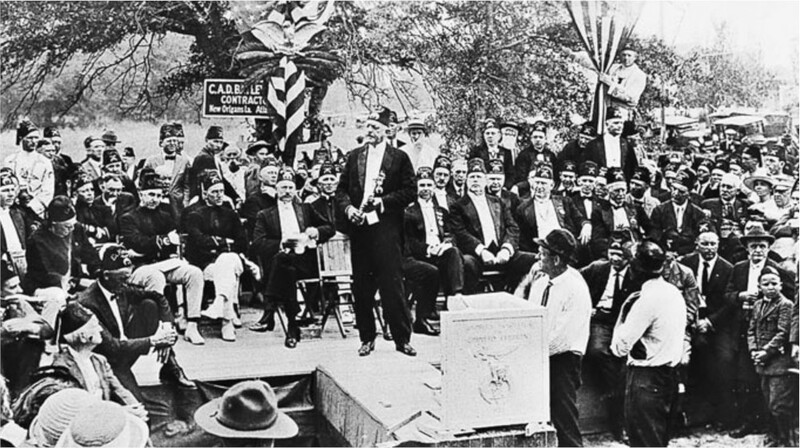 Before the June 1922 Imperial Session, the cornerstone was in place for the first Shriners Hospital for Crippled Children in Shreveport, La. The rules were simple: To be admitted, a child must be from a family unable to pay for the orthopaedic treatment he or she would receive (this is no longer a requirement), be under 14 years of age (later increased to 18) and be, in the opinion of the chief of staff, someone whose condition could be helped. Sacramento, Calif., April 14, 1997. The first patient to be admitted in 1922 was a little girl with a clubfoot, who had learned to walk on the top of her foot rather than the sole. The first child to be admitted at the Twin Cities hospital was a boy with polio. Since that time, approximately 835,000 children have been treated at the 22 Shriners Hospitals. Surgical techniques developed in Shriners Hospitals have become standard in the orthopaedic world. Thousands of children have been fitted with arm and leg braces and artificial limbs, most of them made at the hospitals by expert technicians. One way Shriners Hospitals for Children improves lives is through outcomes research. This type of research looks for opportunities to improve hospital practices, both clinical and operational, to help bring better care and quality of life to patients. The outcomes studies utilize more than one Shriners Hospital, and the projects, studies and performance improvement initiatives directly impact changes in operations and patient care practices at all 22 Shriners Hospitals. To ensure Shriners Hospitals for Children is constantly on the cutting edge of research, staff enlists the help of advisory boards, which are made up of eminent surgeons, clinicians and scientists who review grants and offer expertise on project funding. The Medical Advisory Board, Research Advisory Board and Clinical Outcomes Studies Advisory Board also provide review, guidance and subjective assessment to many areas of Shriners Hospitals. © 2017-2019 Al Kader Shriners. All Rights Reserved.